Getting enough of the right nutrition during pregnancy will help your baby grow and develop properly. This can be difficult in the first few months if you are experiencing nausea and vomiting, but prenatal vitamins and eating the right foods can help balance out these difficulties. And a proper pregnancy diet plan will help you to do this better. You will also need to eat around 300 calories more than you did previously to accommodate your growing baby. Listed below are additional recommendations to help you keep you and your baby healthy during pregnancy. 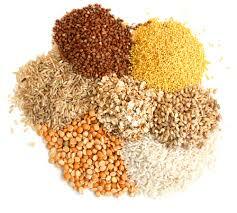 You will need to eat plenty of grains to get plenty of vitamins including B vitamins, iron and fiver. You can also get folic acid from fortified grain products. At least half of your grains should be whole grains like whole grain cereals, breads and pastas. Replace sugary, white breads and grains with these whole grain options for more nutrition. It is critical to get plenty of fiber, vitamins and minerals. 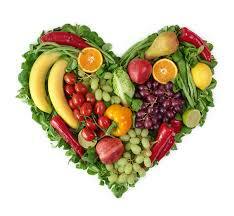 Increasing your amount of fruits and vegetables is very helpful to achieving this. Dark green vegetables are particularly helpful because they contain folate and vitamin A which are very helpful to a healthy pregnancy. Try a variety of fruits from common apples or grapes to less common things like sweet potatoes, mango or pineapple to ensure you are getting a variety of nutrients without getting bored with your diet. However, avoid a lot of fruit juices, as this can give you too much sugar which could cause excess weight gain. Eating lean meats can help you get more B vitamins, iron and protein which is very helpful during the second and third trimesters. Try eggs, peanut butter, beans and fish for helpful sources of lean protein. Fish is also helpful because it provides high doses of omega-3 fatty acids which promote brain development. Dairy can provide you with excellent sources of calcium, protein and vitamin D which will promote healthy growth of your baby’s bones and teeth. Yogurt, skim milk and low-fat cheeses are helpful choices. 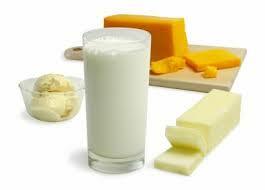 If you cannot consume dairy products, calcium fortified products like juices or lactose free milk options can help. Taking an over the counter lactose enzyme can also help to make dairy products more manageable. 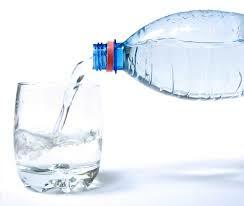 You need to stay hydrated, so work to get plenty of water throughout the day. This can help prevent early or premature labor while cutting down your risk of hemorrhoids, constipation, bladder or urinary tract infections and excessive swelling. Eating foods with plenty of healthy fat like seeds, nuts or avocados can be helpful, though there is no minimum requirement for the amount of fat or oil you should be eating. It is okay to have sweets or fat every now and then if you watch your portion sizes and use some self-control. 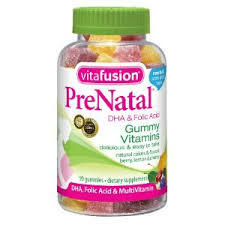 If you have a poor diet a prenatal vitamin can help to fill in gaps in your nutrition. These are also helpful to those who have had bariatric surgery or follow a restricted diet such as vegetarianism. If you have a health condition like diabetes, contact your doctor about what vitamins are appropriate to use and how to manage your diet while pregnant. Notes: if you are having a multiple pregnancy you may need more nutrients and calories in your pregnancy diet plan than someone with one baby. Contact your health care provider to see what you should be eating and how much. Consuming excessive amounts of caffeine can also cause birth defects. Limit yourself to 200mg or less of caffeine and watch sources like black tea, coffee or chocolate which can be high in caffeine. 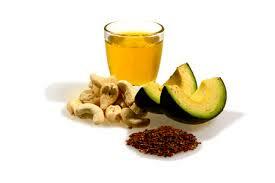 You should cut your fat intake by 30 percent or 65g for a 2000 calorie diet. Cut your cholesterol to 300mg or lower each day to promote heart health. You should also watch replacing sugars and fat with artificial sweeteners and only use these in moderation. Avoid saccharin as this can cause fetal issues. Talk to your doctor about which sweeteners are considered safe and how much you can consume while pregnant. You will also need to avoid foods that might contain mercury including many types of fish. Fish that are high in mercury which can damage your growing baby include king mackerel, shark, swordfish or tilefish among others. Raw fish or items such as raw clams or oysters should also be avoided. Any cheeses such as Mexican-style cheese that is unpasteurized should not be consumed. Also avoid soft cheese such as Camebert, brie or any cheese that is blue-veined to avoid Listeria infection. Work to gain weight gradually during your pregnancy with most of the weight being gained during the end. In the first half of pregnancy, eat 200 more calories than you normally need. Doctors recommend you gain around 2-4 pounds during your first trimester and then 3-4 pounds a month for the second and third trimesters. During the last six months of your pregnancy you should eat an additional 300 calories per day, but these calories should come from healthy foods instead of empty calories like sugary candies, soda or dessert. Make a cup of oatmeal with skim milk rather than water. Add an ounce of chopped walnuts and half a cup unsweetened frozen raspberries. A decaf latte with soy or skim milk can be consumed to provide calcium. This offers half a cup fresh fruit, 2 ounces protein, 1 ¾ cup dairy and high amounts of potassium, calcium and fiber. Half a cup low-fat cottage cheese with half a cup pineapple chunks. This provides ¼ cup dairy and ½ cup fruit which offers manganese and vitamin C along with plenty of protein. A bowl of lentil soup with 5 whole grain crackers along with a half cup frozen dessert or yogurt and a whole wheat pita with tomato, cucumber and cream cheese. This offers 1 ¼ cup vegetables, a half cup dairy, 3 ounces whole grain and plenty of fiber. The dessert will provide calcium while satisfying cravings for sweets. Carrot slices or jicama dipped in hummus. This provides a protein alternative while providing hydration, 1 ¼ cup vegetables and a healthy dose of vitamin A. Baked salmon filet with 1 cup roasted cauliflower and ¾ cup wild rice. A baked apple with low-fat vanilla yogurt can be consumed for dessert, or you can have a mocktail made with ½ cup pure fruit juice and a cup of sparkling water. This gives you a cup of vegetables, 4 ounces protein, 1.5 cups whole grains, ¼ cup dairy and a cup of fruit. A cup of Greek yogurt with a half-ounce chocolate chips. This provides more protein than regular yogurt while providing plenty of nutrition.